PS Engineering design bespoke gates which are perfect for anyone looking for something a little bit different. PS Engineering will work with you to design gates that integrate with their surroundings. That way you can pick exactly what you want, they will be unique and beautifully crafted. We recently worked with a client on this timber / steel combination. As you can see below the gates are functional and look great. 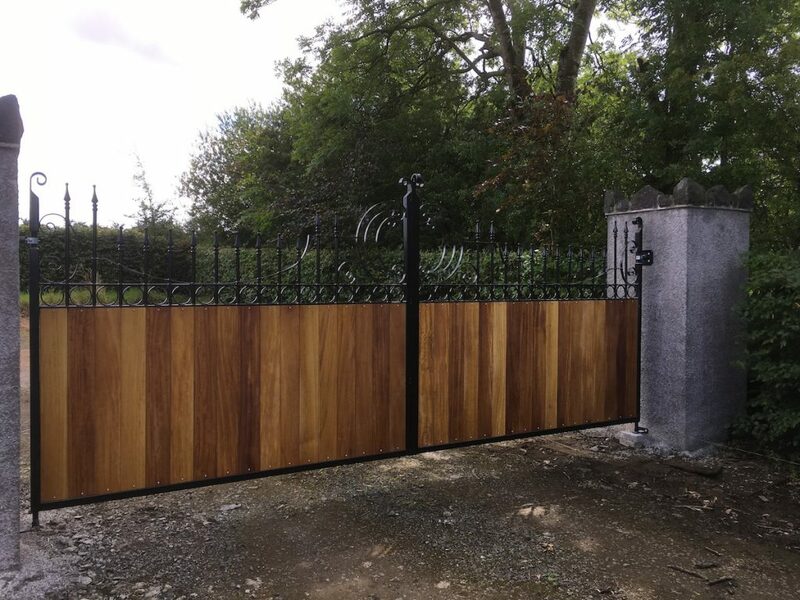 The timber infill adds to the privacy element, while the steel design above sets these gates apart from all other gates, making them a very unique ensemble. The steel is galvanised and powder coated, while the timber is specially treated, to make sure these stand the test of time. The client is delighted with the finished product. 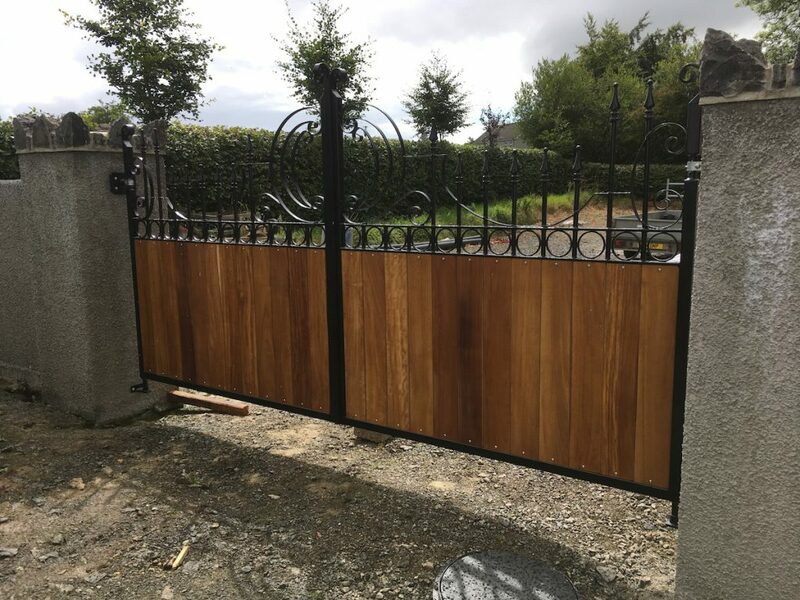 These steel and timber gates are the perfect unique and bespoke entrance to a beautiful home. Bespoke gates can be designed for your new build or we can design something to complement your existing walls and railings. We install your gates onsite. We also offer mechanised systems meaning that you can open and close your gates with a remote control, without stepping out of your vehicle. We can also install camera intercoms and cordless telephone systems to ensure you know who is at the gate before you let them into your property. If you are interested in investing in Timber Gates to keep your home secure then look no further than PS Engineering. Call us on 07739 715 754 and we would be happy to talk to you.